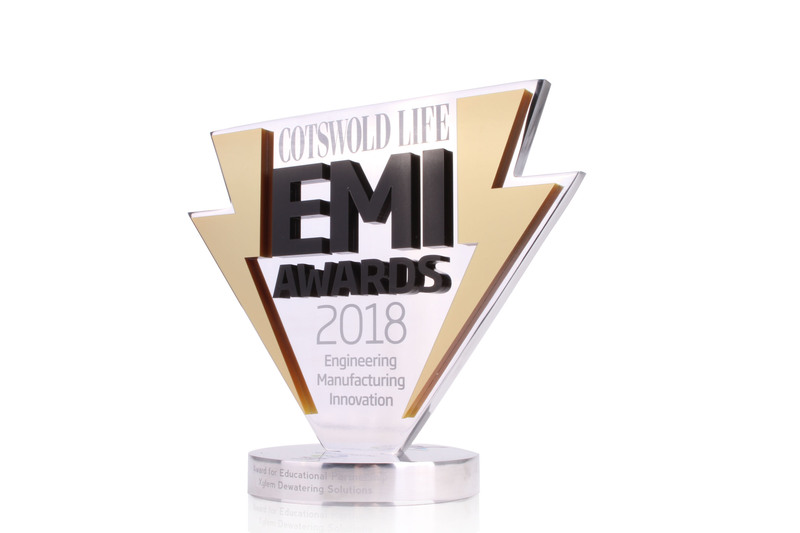 The Cotswold Life Engineering, Manufacturing and Innovation Awards celebrate the best and brightest of the manufacturing industries in the Cotswolds. 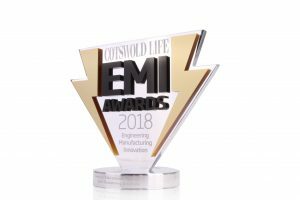 The ceremony covered 12 highly competitive categories, from the Sustainable Manufacturing Award, to the coveted Lifetime Achievement Award. 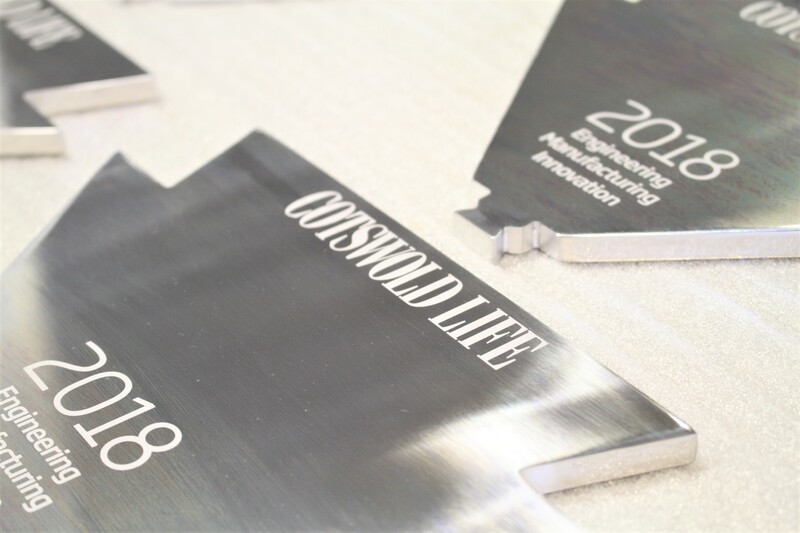 The top of the award is high-quality aluminium, profiled to match the logo, and polished at our in-house finishing facility. Acrylic detail provides this trophy with powerful depth, enhancing the logo and the eye-catching nature of this award. 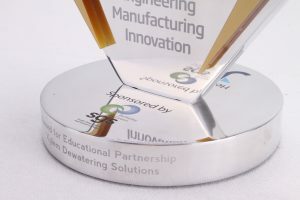 Similarly, the base has a shiny, mirror polish finish, with printed sponsor logos. 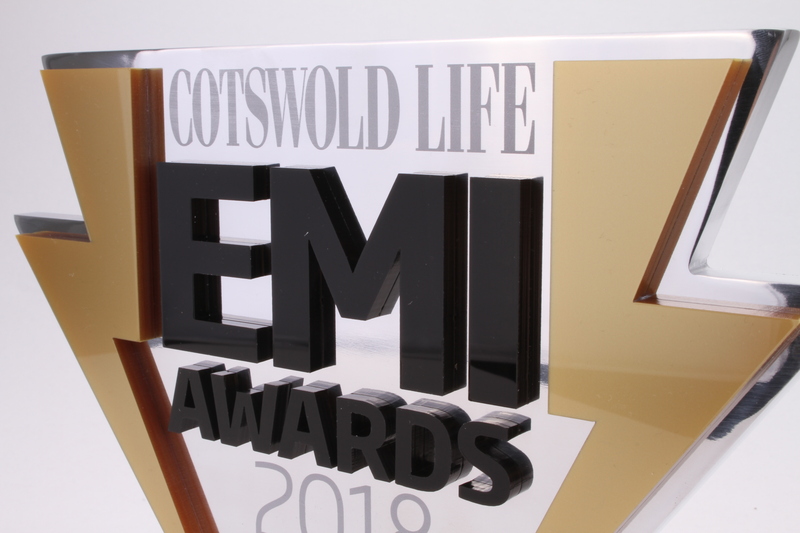 We use in-house UV-printing technology, with colour-matched ink that then dries instantly. Each award is customised with a category sponsor, the category title and winners’ names.